Peoria, IL (August 16, 2013)-The Peoria Area Chamber of Commerce hosted a Business Roundtable Meeting with Congressman Aaron Schock this morning for area businesses. Representatives from the US Chamber and Illinois Chamber were present. As the leading voice and resource for business in the region, it is important to provide opportunities for area businesses to speak with elected officials. 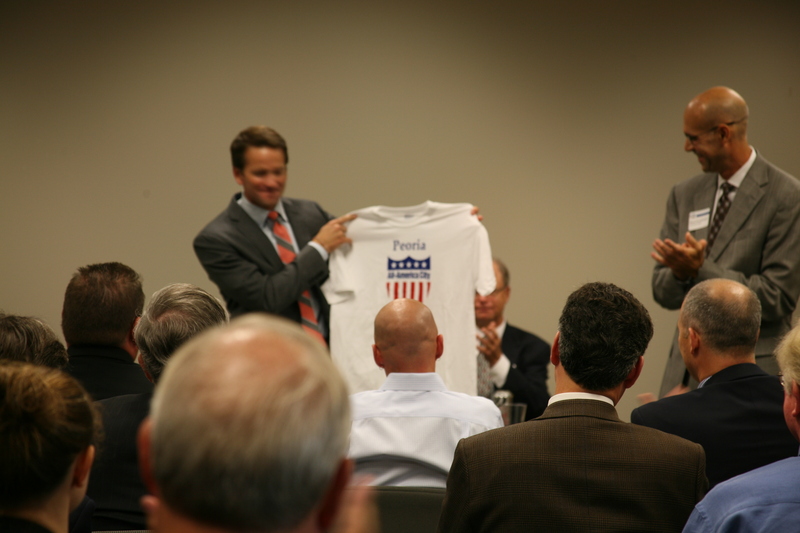 The event concluded after the Peoria Area Chamber of Commerce presented the All American City Congressman with an All-America City t-shirt.